Minister of Agriculture and Fisheries , Hon. Roger Clarke (left); Mrs Janet Conie, General manager of the Banana Board and Mr Donovan Stanberry, Permanent Secretary in the Ministry of Agriculture and Fisheries discuss the resumption of banana exports to Britain at the Launch of the Ministry's Export Market Platform held at the Ministry's Hope Gardens headquarters on Tuesday, June 17. Jamaican bananas have re-entered the British market. The resumption comes some six years after the cessation of export to Britain following the devastating effects of several hurricanes on the sector. The first shipment of the fruit, weighing 2,000 lbs. arrived in the UK last week Thursday, June 12. Jamaican bananas have re-entered the British market. The resumption comes some six years after the cessation of export to Britain following the devastating effects of several hurricanes on the sector and changes in the preferential agreement with the UK. The first shipment of the fruit, weighing 2,000 lbs. arrived in the UK last week Thursday, June 12, Minister of Agriculture and Fisheries, the Hon. Roger Clarke has announced and it is expected that another shipment will leave Jamaica on Wednesday, June 18. 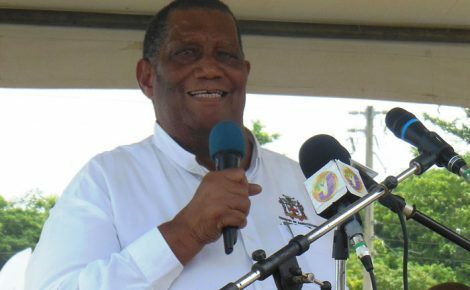 The agriculture and fisheries minister made this announcement on Tuesday, June 17, at his ministry’s Hope Gardens headquarters during a ceremony to launch the Ministry’s Export Market Platform and sign five contracts for infrastructure works at four of the island’s agro-parks, funded by the Inter-American Development Bank (IDB). 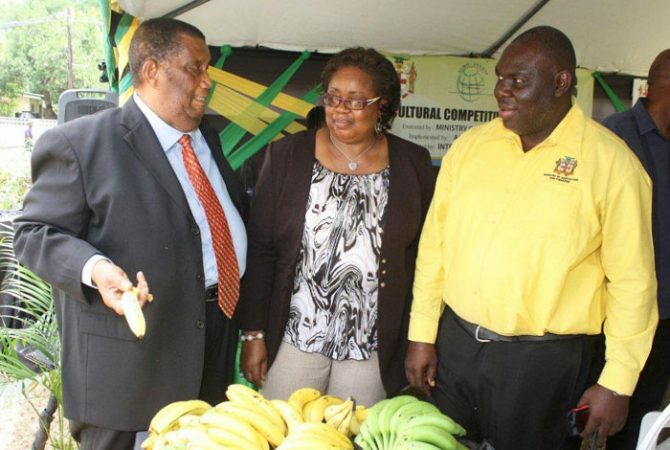 Minister Clarke went on to explain further that the shipment of bananas will continue weekly up to the end of August and that the UK buyer would arrive in Jamaica by this month end to negotiate long term contracts for importing Jamaican bananas into Britain. 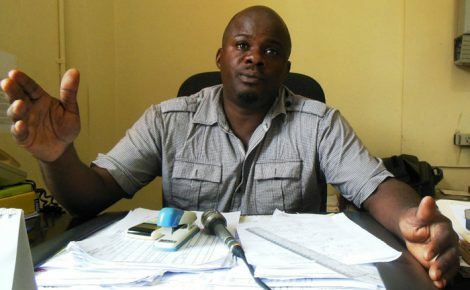 He identified the resumption of the banana trade as one of the first results of the recently launched Export Market Platform aimed at linking farmers with buyers in a structured and organised way as part of the Ministry’s efforts to boost exports and increase production in the agricultural sector. The Minister reported that the Ministry has been primarily targeting the UK market through the forging of linkages with the Fresh Produce Consortium. A team from the Ministry along with farmers and exporters attended the London Produce Show as guests of the Fresh Produce Consortium resulting in transactions to supply sweet potato, yam, Julie mangoes, ginger, Moringa, castor oil, a variety of herbs and spices and a range of fruits to that market. 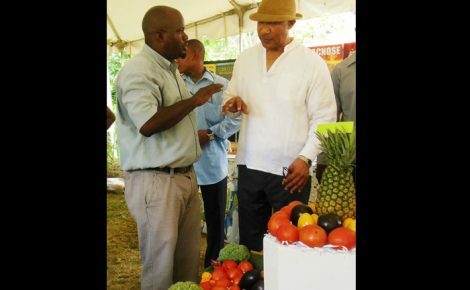 The Jamaican team, he said, is also following leads with several UK and European buyers for the supply of the Jamaican produce. Five contracts, totalling over $501 million were signed at the event for the implementation infrastructure works at the Spring Plain/Ebony park, New Forest/Duff House and Yallahs Agro-Parks.